At the 2016 Detroit Auto Show, Audi shared its impeccable blend of comfort, off-road capability and practicality with the all new Audi A4 allroad Quattro 2017. If you can recall the first ever Allroad by the company landed in 2009 but soon got replaced by the A4 Avant. Well let us leave the old sagas and get to this remarkable comeback of the model. 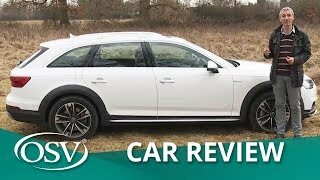 Let us have a look at the review of Audi A4 allroad Quattro 2017 to know in detail about it. The interior of Audi A4 allroad Quattro 2017 is designed to offer comfort; for both you and your cargo. Let us start with the technology inside the model. The Audi A4 allroad Quattro comes equipped with a seven-inch MMI screen with rotary pushbutton operation and also has a large 8.3 inch display, a heads-up display and a massive 12.3 inch screen featuring Audi virtual cockpit. The tech glory doesn’t ends here, model comes with 19-speaker stereo system providing you unmatched sound while the 4G LTE connectivity is standard and keeps you connected all through the boulevard. Now that we are done with comfort and technology, let us get to looks. The looks are pretty much similar to the siblings, however the multi-function mounted three-spoke steering wheel hides behind it a beautiful instrument cluster. The latter features two big gauges on each corner while the center portion has a small TFT display. The center stack though has lot of controls but still doesn’t look messy while the gear lever looks just mesmerizing. Thus rounding up the interior details of Audi A4 allroad Quattro 2017 I would say, it is spacious, comfortable and loaded with technology. The exterior of Audi A4 allroad Quattro 2017 will give you hints of its off-road capabilities. Starting with the front fascia it has the DRL integrated headlights with turn indicators. However the buyers get an option to have LED lights with dynamic turn signals. The traditional Audi grille holds the four-circles in center while the set of fog lamps in bumper narrate glory in their way. You can get the ‘off-road’ clues by looking at the muscular fenders and lines running through the sides. At the rear end model has a gorgeously sportive roof spoiler while the bottom section gets twin exhaust outlets. 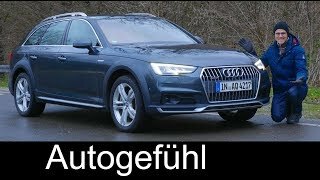 Thus rounding up the exterior details of Audi A4 allroad Quattro 2017 I would say it is an impeccable work of engineering and designing. Beneath the hood of Audi A4 allroad Quattro 2017 are five TDI and one TFSI engine option. The 2.0 liter four-cylinder TFSI engine cranks total output of 252 hp and peak torque of 370 nm. 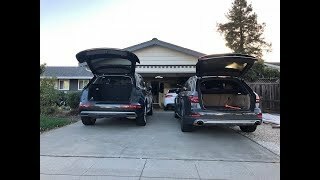 The engine mates to seven-speed S tronic transmission the top speed of Audi A4 allroad Quattro 2017 touches mark of 153 mph while the 0-60 mph sprint can be knocked in 6.1 seconds. Talking about the TDI variants, the model starts with 2.0 liter four cylinder generating 163hp and 190 hp while both the engine peak torque touches 400 nm figures. With the S tronic transmission the engine can propel the model to the top speed of 137 mph. next is a 3.0 liter TDI six cylinder engine cranking 218 hp and 400 nm and the second version of same engine throbbing 272 hp and 600 nm. With this the performance figures of Audi A4 allroad Quattro 2017 hold 0-60 mph sprint time badge in just 5.5 seconds. The last one which company claimed to add soon is a 2.0 liter unit producing 150 hp and peak torque of 320 nm.